Pulaski&apos;s 597113 Accent Cabinet from Carolina Furniture truly is a space saving, multi-functional piece. 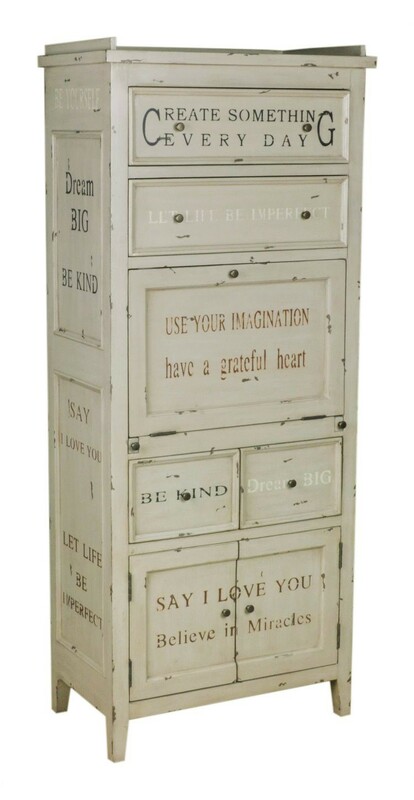 It features subtle, hand-painted inspirational messages. With four drawers, two doors and a drop-down writing surface, the cabinet is a perfect compact home office to fit anywhere in your home. Hand painted positive sentiments.